• NEED IT NOW? We are standing by to serve you! Submit your customized art design to be imprinted on this business card magnet and we'll have your product to you in 24 hours time. • Using personalized magnets for promotional purposes is a great way to brand your company. Current and potential customers will be sure to see your eye popping business card printed with our full color graphics on various metal surfaces. • Designed using a four color printing process, complete with a professionally glazed laminated finish. 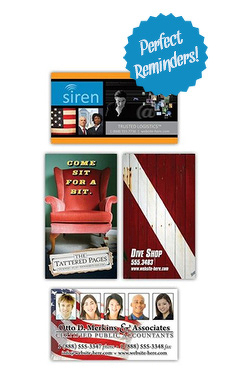 At 2" x 3.5", your custom business magnets are sure to grab the attention of everyone. If your not in a rush, you can click here and save some money.